Thanks for printing! Don't forget to come back to MUST Ministries for fresh articles! While summer often means sleeping in or planning your next getaway, many of your neighbors are wondering how they will feed their children lunch today. During school, a free lunch meal doesn’t come out of the sparse family budget. That’s when MUST Ministries steps in with the Summer Lunch Program and brings the whole community together to help those in need. With countless, compassionate volunteers, MUST provides a nutritious lunch each summer weekday to thousands of children in seven counties. Since MUST can’t do it alone, the generosity of our communities makes it possible. ¡Summer Lunch es un salvavidas para 7,200 niños hambrientos! View an interactive map of our Host Sites by clicking here. Proud of our generous sponsors: Fox5 Helping Hands, Aquaguard, Publix and Gas South! Nothing was more meaningful this year than feeding hungry children in my community. What a simple way to make a tremendous impact. 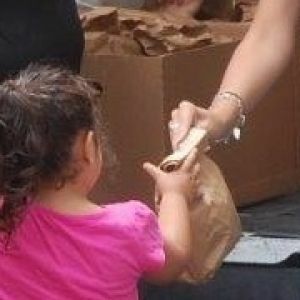 Our church helped MUST make sandwiches, pack lunches and take them to children in great need. Their gratitude warmed my heart and I realized there is so much I can do right here in my own community. The children are always so thrilled to get a book on Fridays. They run to a shady tree and huddle around to read to the younger ones. It’s so sweet. They can’t believe they get to keep the books. One little girl ran to her house with her lunch and came right back with half of her sandwich. I asked her where she went and she told me she put the other half on her bed so she would have dinner. It broke my heart. Once I was on a delivery route and we were short one lunch. I felt horrible for the last child in the line and my heart sank. Suddenly, a child ran up with an extra sack lunch and said he had gotten one for his brother, but he already had one. Suddenly, we had just enough! Those God moments happen all of the time in this program. 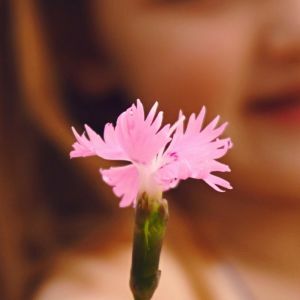 The children run to the van to get their meals every day and sometimes I get a flower or a note or even a colored picture. It always touches my heart. Your family or group can get together and prepare lunches according to the MUST Summer Lunch Menu and Guidelines. Have the group leader contact the MUST Summer Lunch coordinator in your area and coordinate the best date/menu for your group. Instructions to drop off lunches at the Host Site will come from your coordinator. While there is no specific number of lunches you will need to make, please note that some Host Sites are larger than others and you may be asked to drop off in different locations. Our clients deeply appreciate your generosity and spirit of service! MUST Ministries couldn’t operate without generous volunteers like you! To pledge lunches: Please click here. Guidelines for preparing lunches may be downloaded by clicking here. The Checker/Packer insures the accuracy and freshness of the lunches that will be handed out each day. Teamwork makes the dream work! Checker/Packers are needed 9-11 am, Monday-Friday. The Driver/Rider delivers lunches Monday-Friday to children right in your neighborhood and make a huge impact! Drivers 18 years and older must use their own car and be able to deliver lunches 10:30 am-12:30 pm. Driver and Rider volunteers must submit a request for a background check. Please click this link to initiate that check. To sign up as a MUST Summer Lunch volunteer, please click here. There are times when a juice box will break or a group falls short on lunches (by even just a few). The volunteers at the Host Site will need to make a complete lunch in a matter of minutes, so it’s important for the Host Site to have an inventory of items on hand. By hosting a supply drive, you will give the Host Site the peace of mind that a lunch can be made and a child will not have to go hungry. We discourage peanut butter and jelly sandwiches, due to the increase in allergies with the kids we serve. To ensure safety of every child we serve we prefer meat sandwiches over PB&J. Snacks - pretzels, goldfish crackers, chips, cookies, fruit snacks, fruit cups, pudding, graham crackers, teddy grahams, nutri-grain bars, etc. Please deliver supplies to MUST's Donation Center. Thank you for your interest in our summer feeding program. The MUST Summer Lunch Program is grounded in an awareness that many school-aged children who receive free or reduced-priced lunch during the school year often go without a nutritious lunch during the summer months. 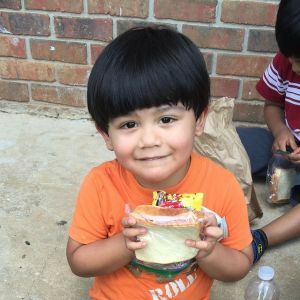 Through the generous support of volunteers and donors, MUST Summer Lunch delivers food to children in their neighborhoods Monday-Friday throughout the summer. Last year MUST served 260,000 lunches to over 7,600 children in six counties. A great way for groups to assist this program is by participating in a lunch build. Summer Lunch Builds provide a hands-on lunch building experience that creates camaraderie within your group while making a difference in our community With 6,000-7,000 lunches needed each day during the summer, we really appreciate any amount of lunches you can build! This activity is performed at the MUST Ministries’ Donation Center, located at 1280 Field Pkwy, Marietta 30066. Groups have the option of bringing their own supplies for this activity. Groups also have the option of donating money to offset the cost of supplies. If you choose the second option, MUST will purchase all of the items needed for a complete lunch and have them available on site for your lunch build. The approximate cost of a complete lunch (one sandwich, two snacks and one drink) is $2. A group of 20 can typically make 500 lunches in two hours. To sign up for a Summer Lunch Build, click here. 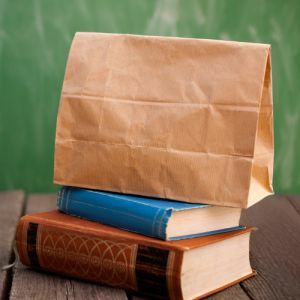 Who wants to give the lunches to the children in a plain brown bag? No one! Jazz it up by coloring or decorating some white or brown paper bags for us to hand out. Remember to make some for boys and girls. Are you good at joke telling? Write the joke on the top of the bag and the punch line on the bottom. Then the whole group can enjoy your joke. Remember the tweens and teens – write something inspirational/encouraging on the bags. The children love to see artwork on the bags. It brings a smile to everyone! Once the bags are decorated bring them to MUST Donation Center. For more information, please contact the coordinator for your area. 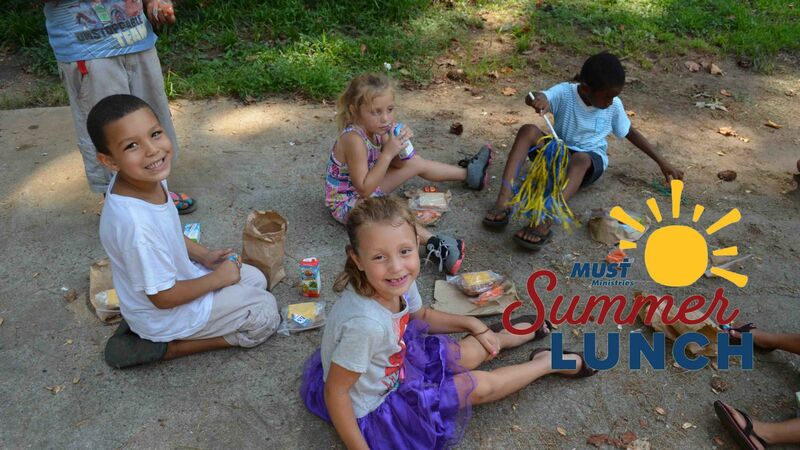 To designate a financial donation to Summer Lunch, please click here and enter "Summer Lunch" in the Comment section. © 2019 MUST Ministries ALL RIGHTS RESERVED.